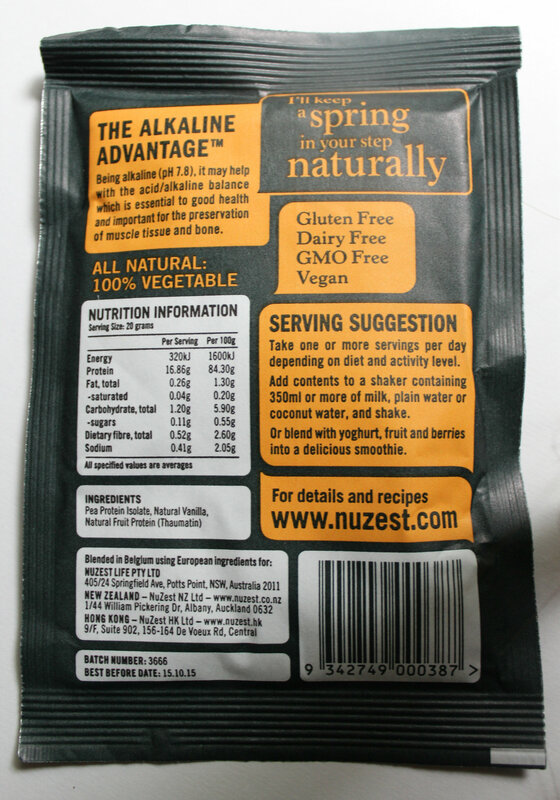 Nuzest is a new small company that is based in Australia. They just started expanding in to US markets, but they are already fully in other international locations. Nuzest was formulated from a team of health professionals, fitness trainers, and nutritionists. They strive to improve the daily nutrition of not only athletes, but anyone, using their clean 100% vegetable protein sourced from European Golden Peas! 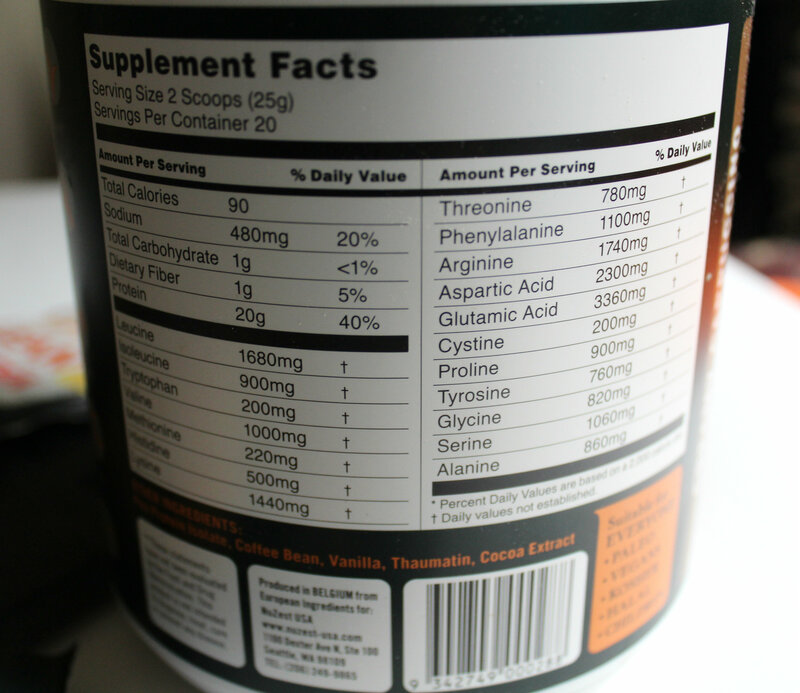 Two scoops delivers 20g of protein and only 90 calories. It is packed with all good things, no carbs, no sugar, and tons of those amino acids and good vitamins and minerals. 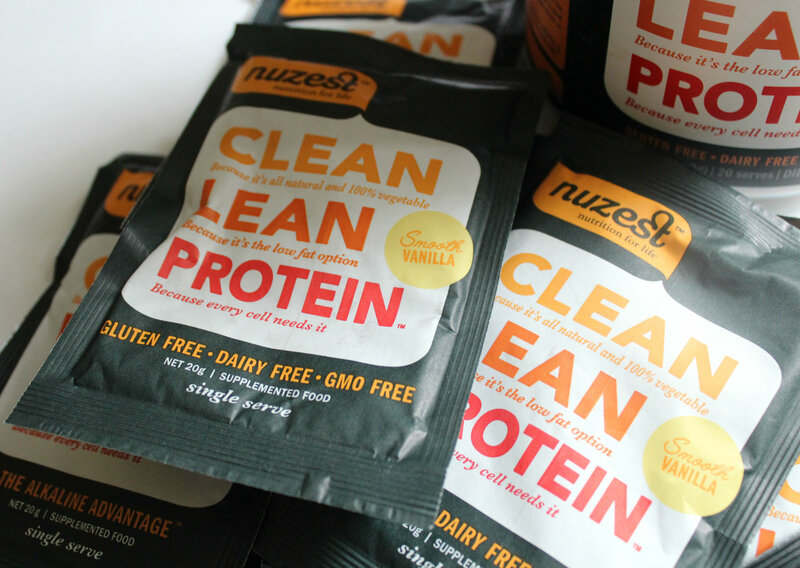 Nuzest comes in 5 flavors: Just Natural, Smooth Vanilla, Rich Chocolate, Creamy Cappuccino, and Wild Strawberry. I’ve tried the Smooth Vanilla and Cappuccino. The vanilla was the first one that made me fall in love and it is just so good! The perfect vanilla taste and it blended so well into my almond milk protein frosty. Smooth and delicious. The cappuccino is the new flavor I tried. Cappuccino protein powder? Come on! That is awesome! It isn’t an overpowering coffee flavor, but just right! Now I can drink a cold frosty protein smoothie if I didn’t get my iced coffee fix that day 😉 The nest flavor I am dieing to try is the wild strawberry! It sounds so good! + Place the fruit, greens, protein, cinnamon, water, and ice (in that order) in to a blender. Then blend away until you get a perfect creamy think smoothie! 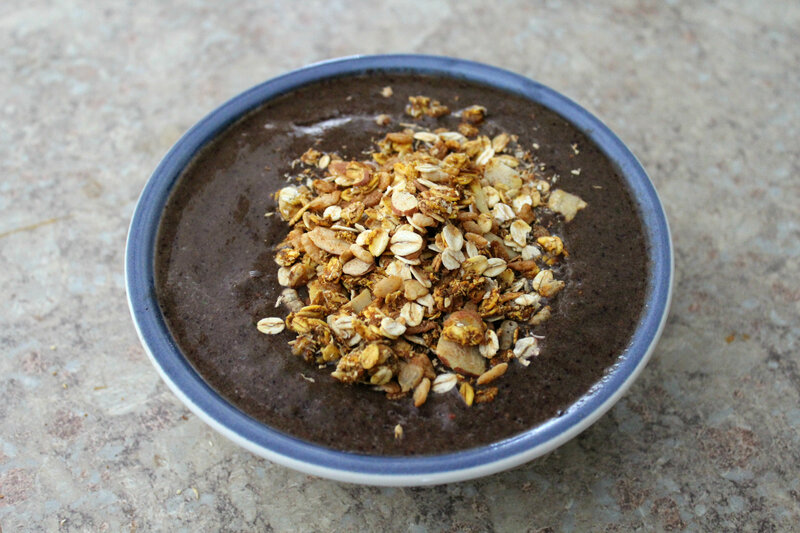 + Pour into a bowl (or cup) and top with granola! Enjoy! You all can receive your own free sample of Nuzest and their free Ultimate Health Guide E-Book right now by signing up for their mailing list using this form! 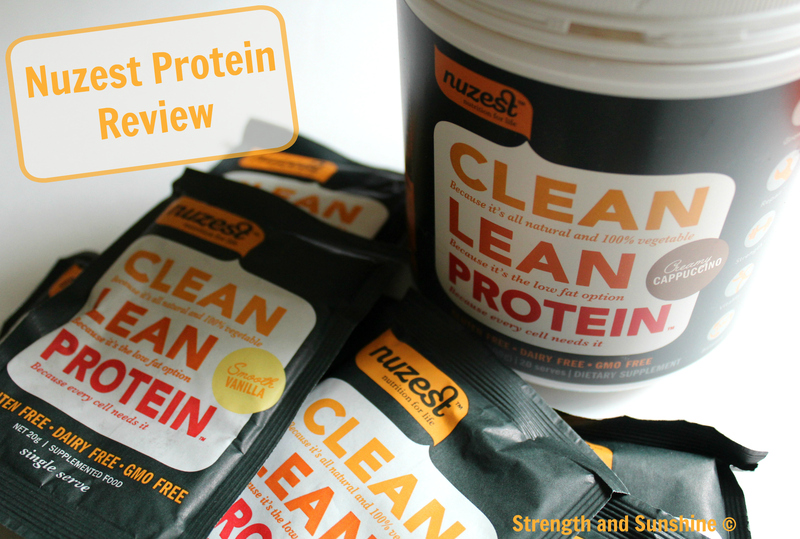 And one lucky reader will be selected on Monday, August 11th, to receive even more Nuzest! Just make sure you check off the box saying you are signing up from “Strength and Sunshine” when you fill out the email form! Connect with Nuzest on their website, Facebook, Twitter, Pinterest, Instagram, and YouTube! + What flavor of Nuzest are you most dieing to try? + Smoothie bowl or smoothie in a cup (with a straw!)? Oooh, that looks tasty! Thanks for sharing it at Savoring Saturdays! I found you on #PinterestFoodie and clicked because you said “ninja”. We are a little TMNT obsessed in this house. But I was even more excited to find it was something I could enjoy! Sent off for my sample. YEAH! Thanks for pointing out this company, that is hard to find, gluten free vegan and non GMO. I feel ya! I think smoothie with a straw will always beat in a bowl…but sometimes it’s fun to switch it up! Thanks for the giveaway! I love vanilla protein powder, it’s so versatile! Coffee flavored in my morning coffee sounds good to me! Love the smoothie bowl! I only make actual smoothie once a week, but I use protein powder everyday! Ah! I’ve been looking for a clean protein powder – this looks like exactly what I need. I’ll probably go with vanilla since it’s the most versatile! Vanilla is a great choice! This vanilla tastes so creamy and wonderful, haha! so cool! excited to try this protein! thanks! It’s so yummy and I love the unique flavors they have! Looks mouth watering! I’m definitely a smoothie person – I’ve been having one every day for breakfast so far – so this is right up my alley! YUM! This sounds yummy! My favorite protein powder is hemp based. So many people complain about the taste but I love it! I love hemp protein too! I usually mix it with a flavored protein and love it! Yum! Smoothies are my favorite. Looks delicious! It’s a great allergy friendly protein! O yes, it makes a great smoothie! oh my goodness!!! I need to try that! I love a good smoothie in the mornings! Smoothie and granola 😉 Good eating!